I’m a western nut. I feel right at home with them. Unfortunately for me and other western fans, we’re long past the time when westerns were the norm, leaving aficionados of the genre have to squint a little harder to find a movie set in the Old West. 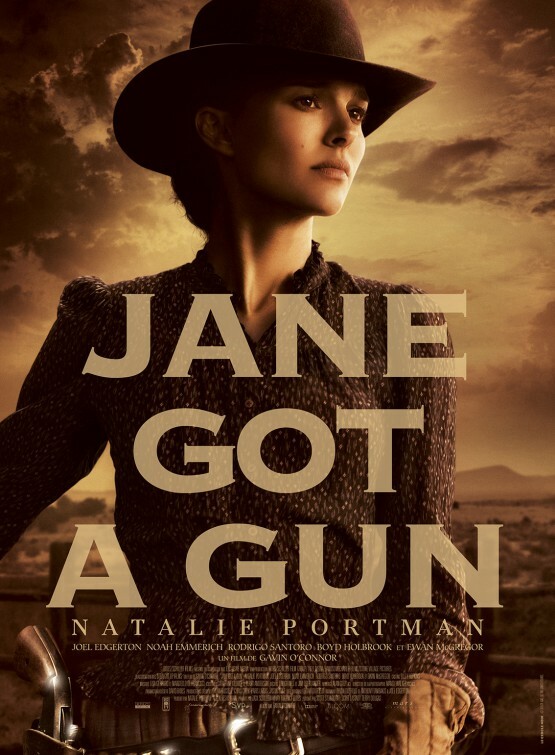 Which brings us to “Jane Got a Gun”, a movie I imagine a lot of people haven’t even heard of. Released in theaters on January 29th, it’s had a dramatic production and is basically being released in theaters because….I don’t know, it takes millions of dollars to make a movie. So what’s the verdict on this little-advertised western? 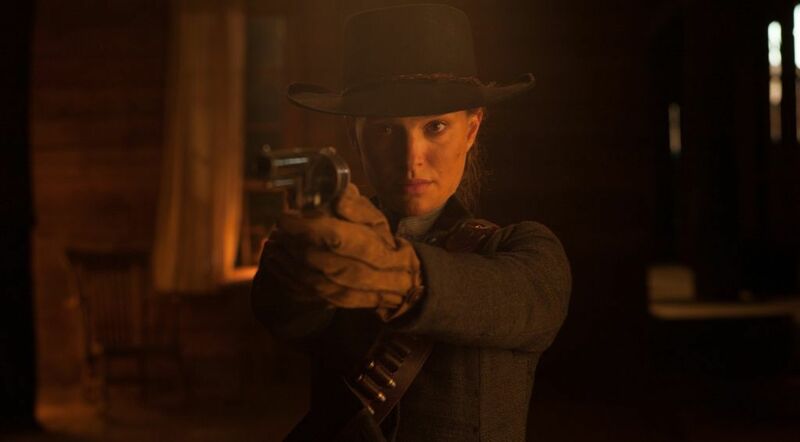 It’s 1871 in the New Mexico territory, and Jane Ballard (Natalie Portman) lives on a small spread with her husband, Bill (Noah Emmerich), and their young daughter. Bill staggers home one day, falling off his horse with his back riddled with bullets. As Jane digs the bullets out of his back, Bill mumbles that “The Bishop boys are coming.” Their past has caught up to them and with her husband recovering and unable to help, Jane is on her own. 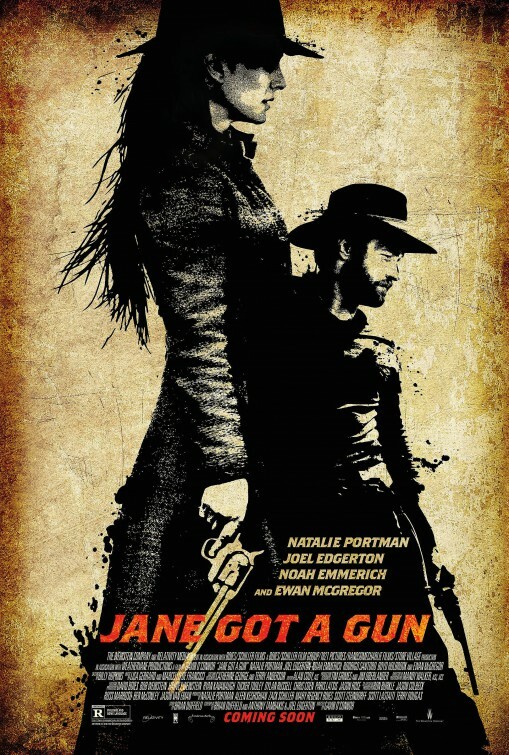 With time running out and desperately in need of help, Jane seeks help with a man from her past, Dan Frost (Joel Edgerton), an accomplished gunhand, who at first wants nothing to do with her. After a change of heart though, Dan follows her on the trail, agreeing to help. Riding back to the spread, they have to decide what their plan of both attack and defense will be against John Bishop (Ewan McGregor) and his gang. The odds are already stacked against them though, and that’s without considering if they can work through through their checkered past. Haven’t heard of it? Few have. This western has received little to no advertising in recent weeks. After a checkered production, it seems the studio backing the film simply wants to get it off the books. If it’s a financial bomb? Eh, it’s not sitting on the shelf. “Jane” was actually filmed back in 2013 and has been sitting on that shelf ever since because of its original studio going bankrupt with the Weinstein Company buying it. The production itself seemed like a revolving door of directors (original director Lynne Ramsay left the picture on its first day of shooting)and actors as well. Easy-peasy, right? Well, let’s make the best of a lousy situation. Moral of the story? It’s a pretty decent little western. I liked it a lot. Director Gavin O’Connor stepped in after some drama with previously-attached directors and does a solid job with an old school western that would have been comfortable if it had been released in the 1960’s/1970’s. While it isn’t cut and dry black and white, it is a pretty straightforward good guys vs. bad guys. More importantly, it’s clear that those involved are fans of the genre, know how to do a western right. Filmed on location in New Mexico, ‘Jane’ looks authentic, the wide expanses of the desert serving as a backdrop. It’s a big, lonely place. O’Connor and cinematographer Mandy Walker have fun with some genre conventions, riders sprinting at the camera in a sun-soaked, vision that looks like a mirage, riders silhouetted against a setting sun. Throw in a good if not flashy score from Lisa Gerrard and Marcello De Francisci, and you’ve got some positives across the board. What isn’t exactly abundant in the western genre? For one, female leads. For two, strong female leads. In steps Natalie Portman, one of the best actresses currently working in Hollywood (wish she’d work more!). Her Jane Ballard is a welcome character, a real character. She’s a good shot with a rifle but far from a killer. She makes tough choices for the sake of her family and will do just about anything to protect them. Her backstory is especially interesting which we see in some well-handled flashbacks featuring some genuinely surprising revelations. So while she seeks help from a man, her Jane is far from a damsel in distress. This is a lead female character that is a welcome addition to the genre, not a side character who’s brushed aside at the slightest sign of trouble. There’s been far too many of those so welcome to the club, Natalie Portman/Jane Ballard! Having worked together on 2011’s “Warrior” (an excellent movie, one of my favorites), Edgerton teams up with director O’Connor and again, doesn’t disappoint. 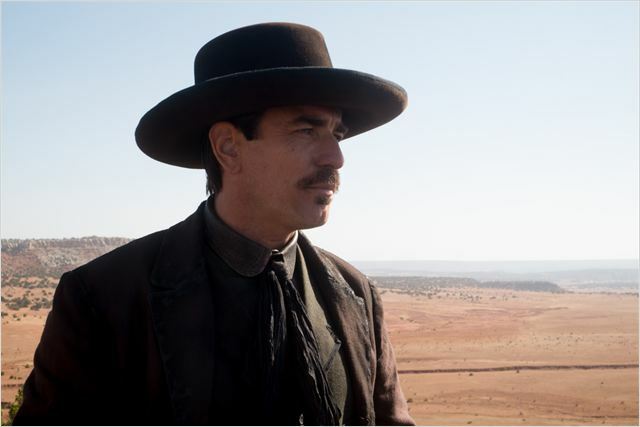 His Dan Frost is the archetypal western hero, capable, stubborn and even when the odds indicate he shouldn’t, he does the right thing, in this case agreeing to help Portman’s Jane. Edgerton is fast becoming one of my favorite actors, and he shows why here. It’s a fascinating character, one dealing with his own past demons and with his own reasons for helping Jane out. He also has one of the best lines in the movie as he dispatches one of Bishop’s henchmen. Playing Bishop, the again always reliable Ewan McGregor is a scene-stealer as the steely-eyed John Bishop, a notorious bandit but a well-dressed, well-coiffed gentleman bandit at that. Just wish there was more of him! With a small cast, Emmerich isn’t given much to do as the wounded, laid-up husband, but some revelations about his past help flesh out the character. Also, look for Rodrigo Santoro as Fitchum, a slimy member of Bishop’s gang, and Boyd Holbrook as Vic, John Bishop’s younger, sadistic brother. 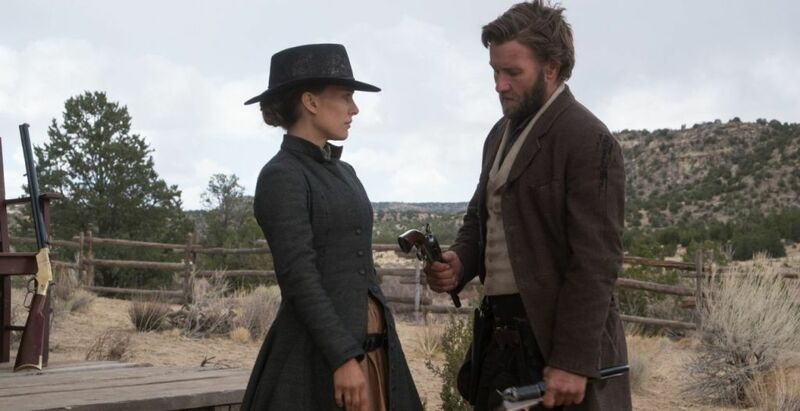 A smaller cast definitely leaves the focus on Portman and Edgerton once things get moving. This isn’t an action-packed western so don’t expect shootouts every minute. The action — like the story — is about setting the scene, building the tension to nearly unbearable levels. When the firing starts, it’s lightning-quick. Most of the action is saved for the finale when Bishop’s gang descends on the Ballard house, a violent mix of Home Alone meets Straw Dogs. The story itself has some surprises up its sleeve, much of it revealed in the well-handled flashbacks going back to the later years of the Civil War. If the ending is a tad too tidy, so be it. It’s a good ending to an above average western that deserves better. I can’t imagine it will stay in theaters too long – in fact, in its second weekend out, it dropped a stunning 84% – so get your butts out to theaters quickly or keep on eye out its DVD/Blu-Ray release date. It’s well worth it!